Red Giant is one of the greatest supporters of post-production and filmmakers. They have created some wonderful applications and plugins, including the Red Giant Shooter Suite that I reviewed a few months ago. It seems Red Giant is back again with an all new updated Magic Bullet Suite 12. The new Magic Bullet suite is boasting some powerful new color correction tools as well as the all new Magic Bullet Film. Let’s dive right into this suite. Magic Bullet Suite 12 from Red Giant on Vimeo. Magic Bullet Suite is a compilation of several applications known as Magic Bullet Looks 3.0, Magic Bullet Colourist III, Magic Bullet Film 1.0, Magic Bullet Mojo 2.0, Magic Bullet Cosmo 2.0, Denoiser 2, and LUT Buddy. The entire suite of applications can be had for $799 and $199 upgrade. 198 brand-new, fully-customizable Look presets. Color Correct directly on your timeline – stay in your host-app. Essential, powerful color correction tools for the Pro. 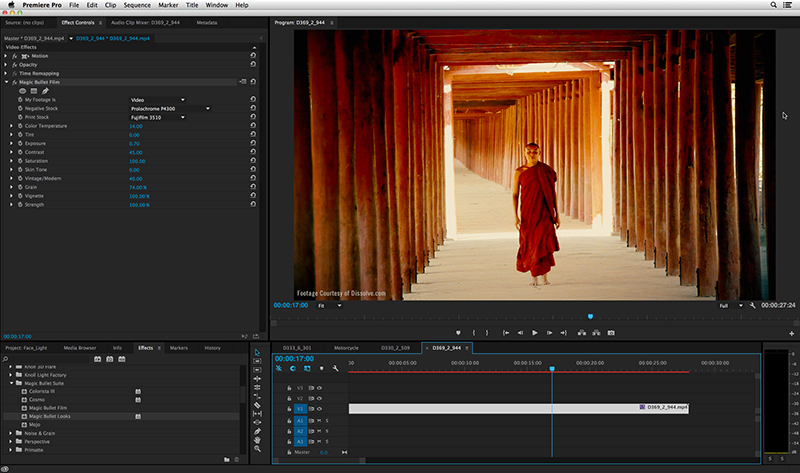 Integrated with the masking features built in to Adobe AE and PPro. 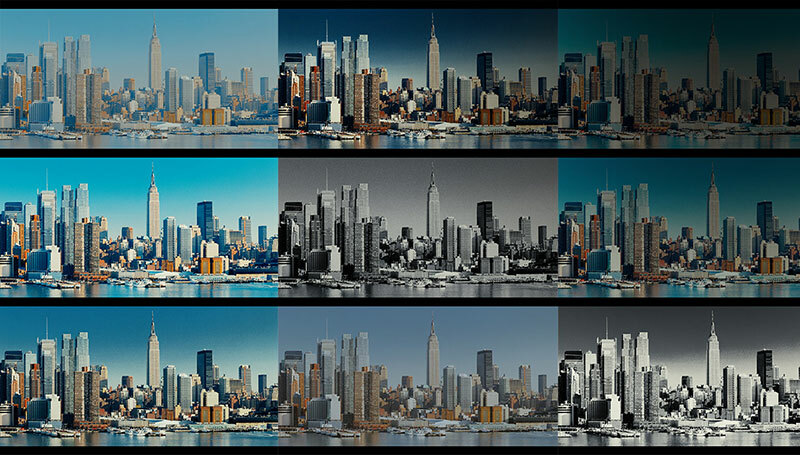 Instantly gives your footage an action movie color grade. Accentuates and protects skin tones. Cools off your backgrounds. Highly customizable – Cool things off, warm them up, bleach them, and more. 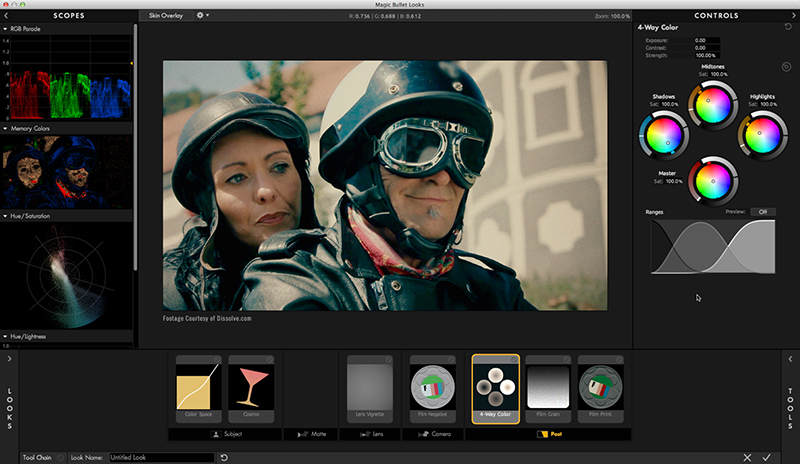 Magic Bullet Film is brand new addition to Magic Bullet Suite 12. It can provide your footage with the authentic look of real film. Red Giant claims it has the ability to emulate not just the film stocks themselves, but the entire photochemical process, from the original film negative, to color grading, film grain and vignettes, and finally to the print stock. There are 22 Negative Stocks and four Print Stocks, totalling in 26 uniquely authentic stocks to choose from. within Magic Bullet Film. The User interface is incredibly easy and intuitive, either working within Adobe Premier Pro or FCPX. Fine tuning your look can be done by adjusting everything from color temperature, exposure, skin tone, vignette and much more. This easily allows you to create a custom film stock look for you footage. However, if you’re looking for a specific Kodak or Fujifilm negative stock or print stock, Red Giant has you covered. Simply select from one of the popular stocks within the drop down menu to create your overall look. It is a very simple and yet effective way to give your footage that filmic look. 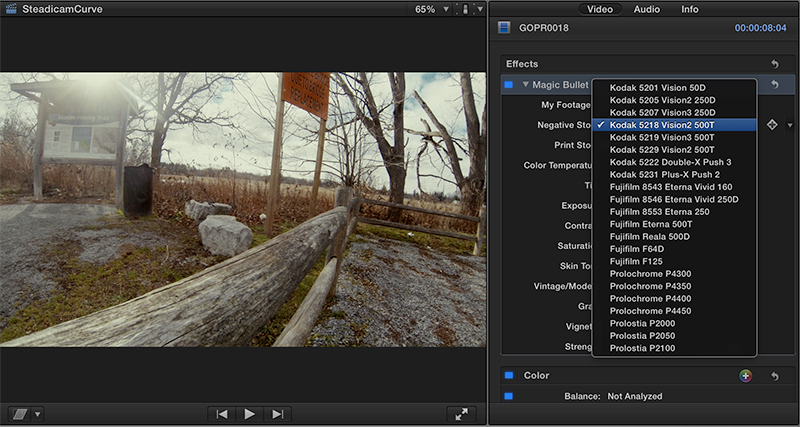 Magic Bullet Looks has been one of my favourite tools since back when I edited on FCP7 with DSLR footage. It was a wonderful way to get the looks I needed to match other cameras or grade quickly for fast turnaround times. 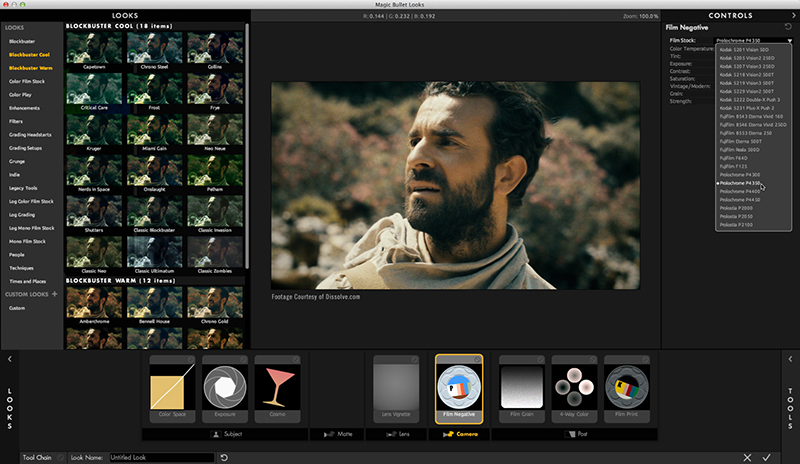 Magic Bullet Looks has gone and had a major update to its UI and UX. Magic Bullet Looks now features 198 brand new, completely customizable presets based on popular film and TV shows. That is an impressive upgrade to say the least. If you have ever used Magic Bullet Looks, then you will feel right at home in the user interface. However, it’s not complicated making it easy for new comers to quickly grasp the friendly user interface in just a few moments. New Looks: Choose from 198 brand-new Look presets, designed to match your favourite movies and TV shows. Every preset is fully-customizable. Enhanced User Experience: Version 3.0 includes new additions like better Looks Preset management, tool presets, keyboard shortcuts and pinning tools to the toolchain. together to emulate the photochemical process used in motion-picture film. 4-Way Color: Ranged color correction for for Shadows, Midtones, Highlights, along with a Master color wheel that adjusts the whole image. Mojo: Mojo warms up skin tones while cooling the background. DuoTone: Tints shadows and highlights with user-specified colors. Lens Vignette: Add or remove vignetting. Results mimic real-world lenses. 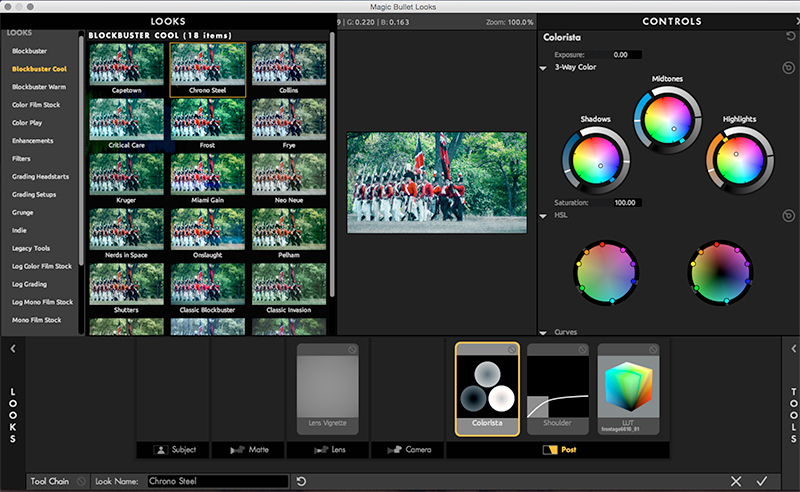 Magic Bullet Looks allows you to select from a drawer full of presets to create almost any look for your footage. These include more commonly used blockbuster looks to grading head shots. In a few short clicks you have your desired look applied and ready to go, making it ideal for the novice filmmaker to the professional. Magic Bullet Looks also allows you to customize each of the presets to fit your needs or create an all new look customized for your specify film. One outstanding tool is the inclusion of Colorista 3 way color wheels for shadows, midtones, and highlights. This allows the user to dial in very precisely the exact look required for tone of the film. It has always been a personal favourite tool inside Magic Bullet Looks. Magic Bullet Looks has come along way since I first reviewed to back in 2010. It has continued to grow, expand and become more powerful. This new update has much better presets and tool management process making it a perfect tool for any filmmaker. Anticipate_M I take it your on the Mac Pro trash Can ? Strange that some apps do and some do not. Anticipate_M that’s great. I was hoping to get our towers updated. Does Resolve utilize both GPU ? Anticipate_M that’s great. All the more reason to switch. TejBabra for fcpx specifically btw. FxPlug 3 updates using two GPU need to be developed and we are only now seeing them. Anticipate_M yes it has. I was just using it during my review of the suite. I have not used it on the new tower. But it has improved a lot. The workaround would be to do all colour work in Looks before you do anything else. As well as being bad practice, the scopes inside looks are small, not well defined and nothing like as good as the native FCPX ones. I paid a lot of money for something which is frustrating and difficult to use. Not good.